Top US energy and agriculture officials return to China this week for the latest round of trade talks that could signal whether crude and LNG flows will pick up between the two countries this year or remain mired in the dispute. Meanwhile, Asian refiners are especially focused on the narrowing spreads between light and heavier crude prices as output complications from Iran, Venezuela, Mexico and other producers of heavy crudes are thought to have been more than sufficiently offset by higher exports of lighter crude from the US and Russia to East Asia. In metals, several market players are bracing for the possibility of iron ore prices touching $100/dmt in the near term. The industry benchmark Platts 62% Fe IODEX has shot up over 20% since the failure of a tailings dam at a Vale mine in Brazil, and the miner's force majeure declaration. 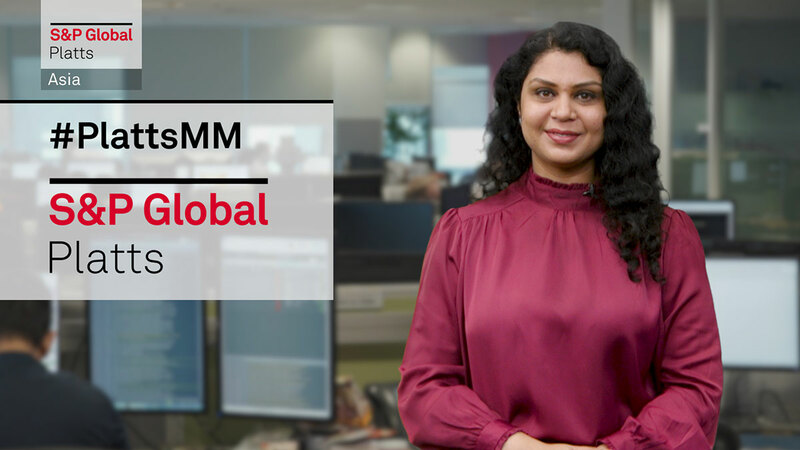 This week: iron ore market brace for the possibility of higher prices, Chinese port restrictions delay thermal coal shipments, and calls for China to remove tariffs on US ethanol gather steam. But first, top US energy and agriculture officials return to China this week for the latest round of trade talks that could signal whether crude and LNG flows will pick up between the two countries this year or remain mired in the dispute. The talks come just two weeks before the 90-day truce ends March 1. In oil, major Middle Eastern crude producers are expected to release their new monthly official selling prices for Asian customers this week. Asian refiners are especially focused on the narrowing spreads between light and heavier crude prices as output complications from Iran, Venezuela, Mexico and other producers of heavy crudes are thought to have been more than sufficiently offset by higher exports of lighter crude from the US and Russia to East Asia. Latest Qatari crude OSPs showed that the spread between light sour land crude and medium sour marine crude fell from 75 cents/b in December to 50 cents/b for January, the narrowest it has been since September 2009. Also, industry officials, ministers and policymakers from Middle Eastern and other countries are in India to discuss oil prices, the direction of India's energy reforms, impact on trade flows of the US sanctions on Venezuelan oil, and the possibility of Washington extending India's waiver on buying Iranian oil. In metals, a few market players are bracing for the possibility of iron ore prices to touch 100 dollars per dry metric ton in the near term. The industry benchmark Platts 62% Fe IODEX has shot up over 20% since the failure of a tailings dam at a Vale mine in Brazil, and the miner's force majeure declaration. In the longer term, traders believe the cut in Vale's production could have a structural impact on iron ore supply for up to a couple of years, and it could lead to a growth in Australian supply. How high do you expect iron ore prices to climb? Share your thoughts on Twitter with the hashtag PlattsMM. Meanwhile, trading activities in petrochemical markets are expected to pick up from this week as China returns to the markets after the Lunar New Year holidays. However, demand for products like monoethylene glycol could slow down, amid high inventories. MEG inventories in China at end January stood at the highest level since May 2018. In thermal coal, the main talking point continues to revolve around restrictions on Australian and Indonesian imports arriving at several Chinese ports. There have been reports of ships encountering delays in entering Chinese ports, adding to freight costs for consumers. Traders in the region will be interested to see the level of demand from China after the holidays. And finally in agriculture, all eyes are on how the US would react to an industry call for China to remove tariffs and duties on imports of American dried distillers' grains and ethanol. The US supplies a huge chunk of China's denatured ethanol imports but the increased tariffs China announced in January is likely to see volumes decrease significantly.